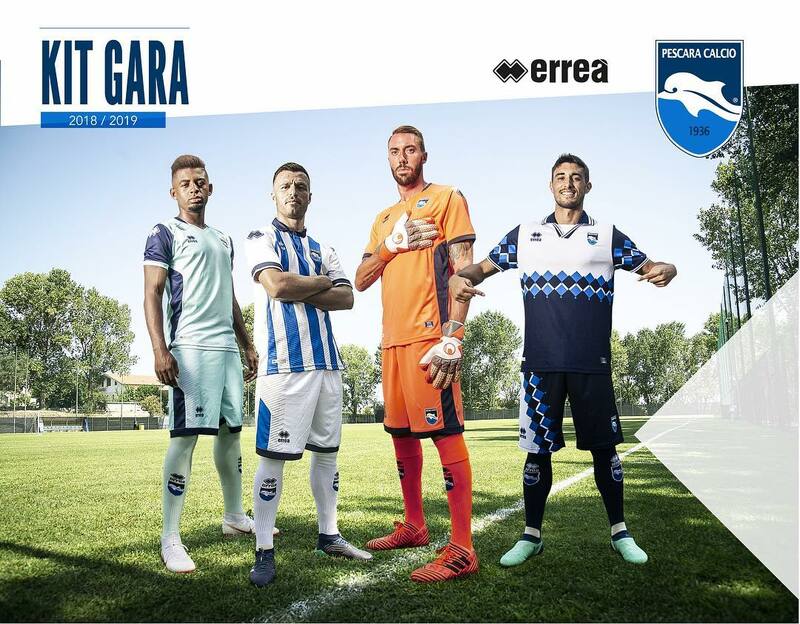 Italian Serie B side Pescara Calcio today revealed its new kits for the 2018-2019 season. Kit supplier Errea and the club did not only unveil new home, away and third kits but also a special jersey. Pescara’s home jersey features the traditional sky blue and white vertical stripes of the club. Errea combines the white and sky blue kit with navy for the collar and the sleeve cuffs. The stripes feature a subtle lines design on the bottom. The new Pescara 2018-19 away jersey. 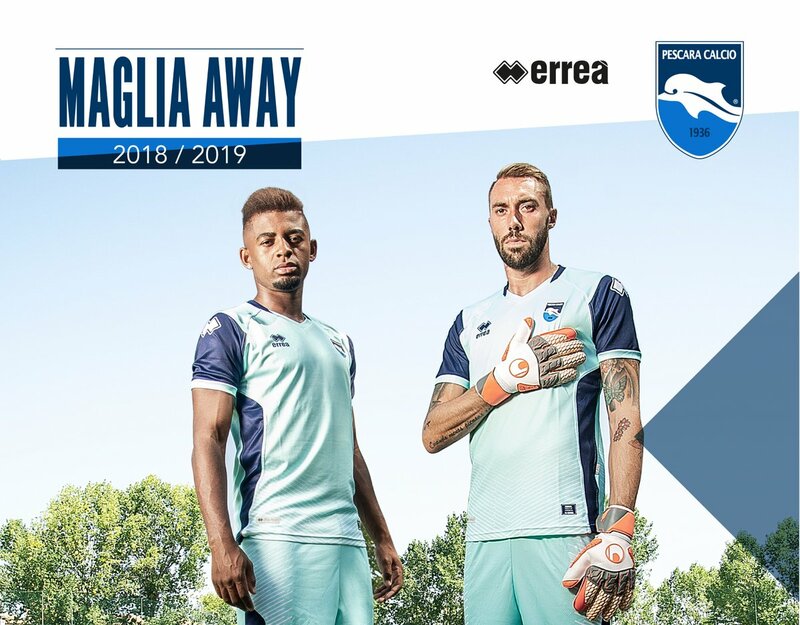 The Pescara Calcio 2018-2019 away shirt is turquoise blue with navy sleeves and applications. 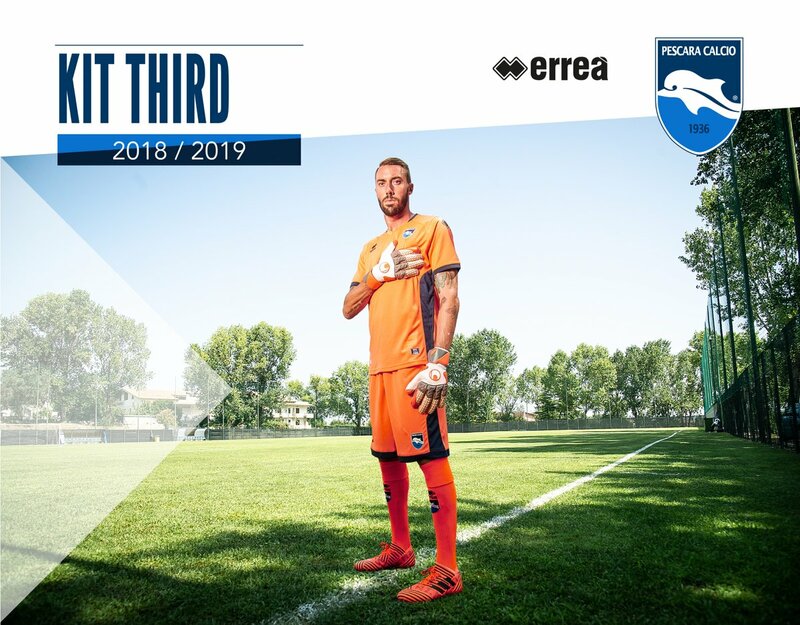 The Pescara Calcio 2018-2019 third shirt. Pescara’s 2018-2019 third uniform is striking orange and anthracite, based on the same template as the away kit. 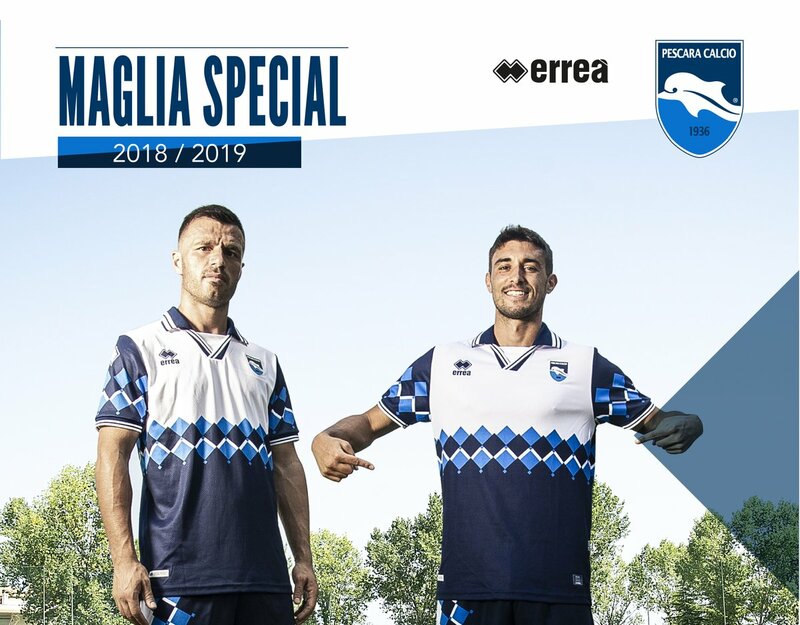 the Pescara Calcio 2018-2019 special shirt. 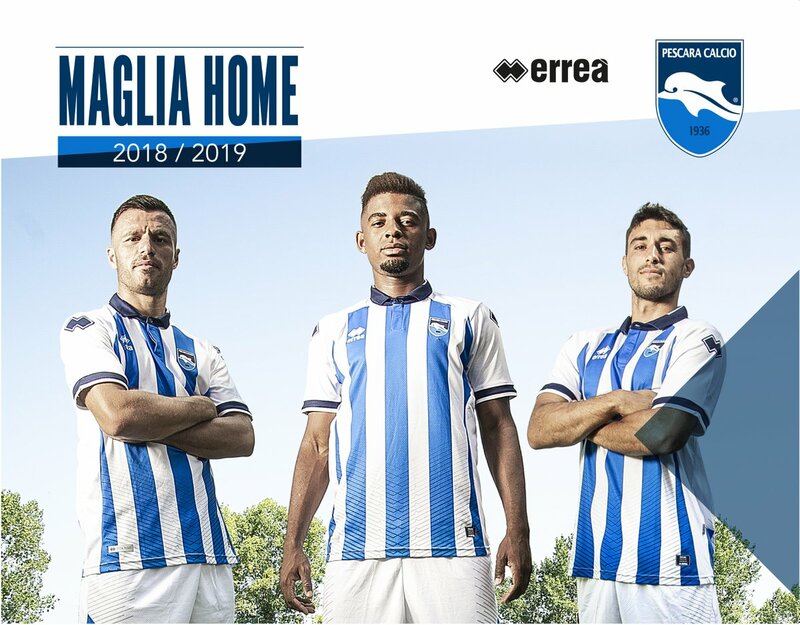 Completing the set is the Pescara 2018-19 Special Kit, the by far most outstanding jersey of the collection. It boasts a unique design that honors the emotion and spirit of the fans of the club.